The first time you walk into Pelican Athletic Club, you’ll notice that the atmosphere is different from other gyms and health clubs. It has the relaxed feel of a country club, but with a family atmosphere and all the fitness, sports equipment, and space you need for a top-notch workout. Our facility is considered one of the best on the Northshore for tennis, aquatics, and families. Unlike normal gyms, Pelican Athletic Club is also used as a gathering place. It’s the perfect spot to make new friends and to enjoy a post-workout drink or meal with them. Have small kids? No problem. We make it easy to meet up, work out and socialize with friends by offering child care services during your visit. Staffers are empowered to address problems as they occur, and will do their best to make you comfortable and ensure a pleasant visit. Check us out – we hope you’ll join us as our next member! To contact membership call: 985.626.3706 or email Membership. single, dual, family, youth, senior, annual, month to month and corporate. and after hour appointments are available. An individual membership will be applicable only to the individual named on the contract. A youth membership is available for individuals 21 years of age and under. At 22 years of age or older the person must convert his/her membership to an individual membership. A family membership is defined as parent(s) and their children 24 years of age and under. Only two adults allowed on a membership. A dual membership is defined as one adult (18 or older) individual and a significant other or child from the same household. The child must be under the age of 25. A senior membership is available for individuals 60 years of age or older. To discuss membership pricing please call 985-626- 3706 . Corporate health is beneficial for both the employee and the company. Increasing evidence supports the need for workplace wellness programs. PAC corporate memberships qualify for additional savings on single, dual and family memberships. To find out if your employer has partnered with us or if you’re interested in establishing a corporate account contact one of our membership services representatives. After hour appointments are available. Pelican Athletic Club is proud to participate in the IHRSA Passport Program. This program entitles members of participating clubs to enjoy guest access at more than 1,700 clubs worldwide when they travel. The Passport Program is easy for members to use! You need only follow a few basic steps. You must obtain valid Passport I.D. from PAC or use your PAC APP to download your Passport. Then visit healthclubs.com/passport to locate a club in the area where you will be traveling. 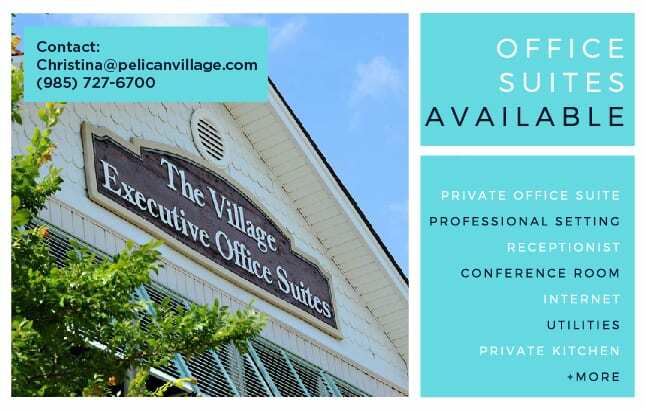 Do call ahead to confirm the availability of the facilities, as well as any guest fees that may apply. Upon arrival at the club, present your Passport I.D., pay the guest fee and you’re in! Regular guest fees are discounted by at least 50% for Passport guests. The IHRSA Passport Program is not intended for temporary membership privileges, or for transferring a membership. It is designed for use on a short-term visitation basis only. Any offer extended beyond this time is left to the discretion of the host club. We strive to make Pelican Athletic Club the best club you’ll ever join. We know once you check it out, you’ll fall in love! Sign up today to schedule a complimentary tour. Within 1 business day, a membership representative will contact you to schedule your tour. Give us a call at 985.626.3706 or complete the form below to speak to a membership representative today! Complete the form and a membership representative will contact you within 1 working day.